Brazil and soccer go hand in hand. The national team has been a dominant force for generations and the five-time World Cup winners have produced some of the most iconic players in the history of the game. But it’s not just the 11-a-side form of the sport in which the South American nation excel. Futsal – the five-a-side version of the game that uses a smaller ball and is played on a hard court – is incredibly popular, too. It requires extraordinary levels of skill and technique so Brazil, as you might have guessed, are ranked number one in the world. 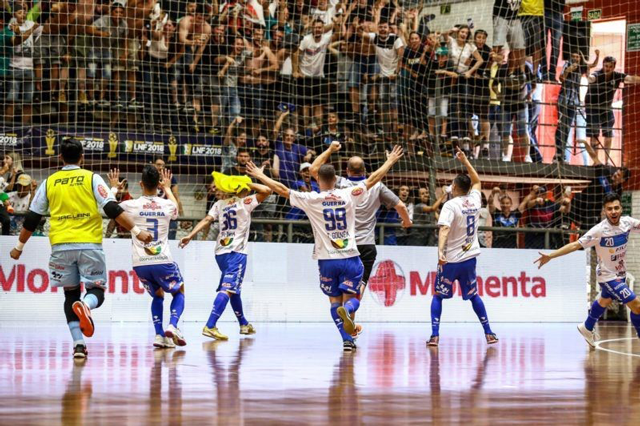 And the nation’s premier domestic Futsal league – the Liga Nacional de Futsal (LNF) – has a new champion, with a little help from Firstbeat. Pato Branco was only founded in 2010 but, just eight years on, the club from the Southwest region of Brazil claimed the 2018 LNF title on December 9. Pato Branco secured the title with a dramatic overtime win on the road over Atlantico de Erechim in the second leg of the final (trailing 2-4 in normal time before a 2-1 win in OT). Their opponents only needed a draw in overtime to get their hands on the trophy thanks to a better regular season record. But, needing an outright win to lift the title, Pato Branco showed excellent energy levels to triumph in the additional period. Goals from Ernandes and Di Maira brought home the first ever national title for a team from the Parana region. 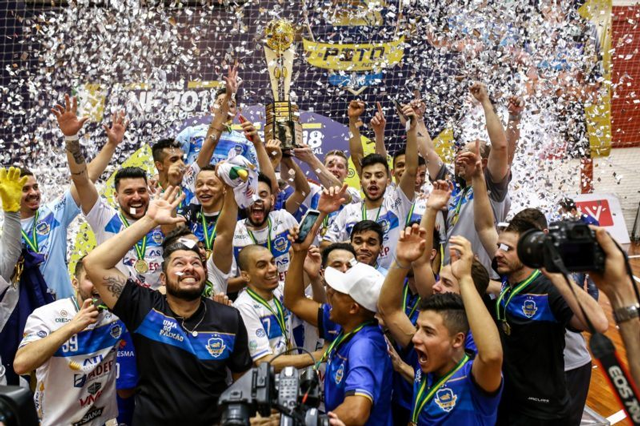 The result capped an historic season for the club and thousands of fans greeted the players and staff as they returned home to celebrate becoming the top Futsal team in Brazil. Pato Branco coach, Sergio Lacerda, attributes the successful season and the rapid rise of the team to hard work combined with technology. “Monitoring the training load through Firstbeat Sports provided physiological data to make better decisions and plan the daily training of the players,” Lacerda explained. “The data allowed us to explore each of the athletes individually in order to optimize their performance and to individualize loads and recovery after training and games. Already crowned 2018 South Futsal League winners and with the 2018 Brazil Futsal Cup safe in their trophy cabinet, the 2018 season has truly been one to remember for Pato Branco.